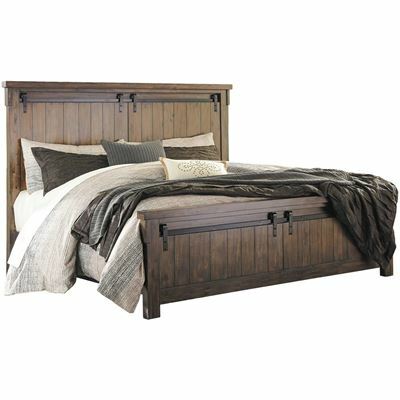 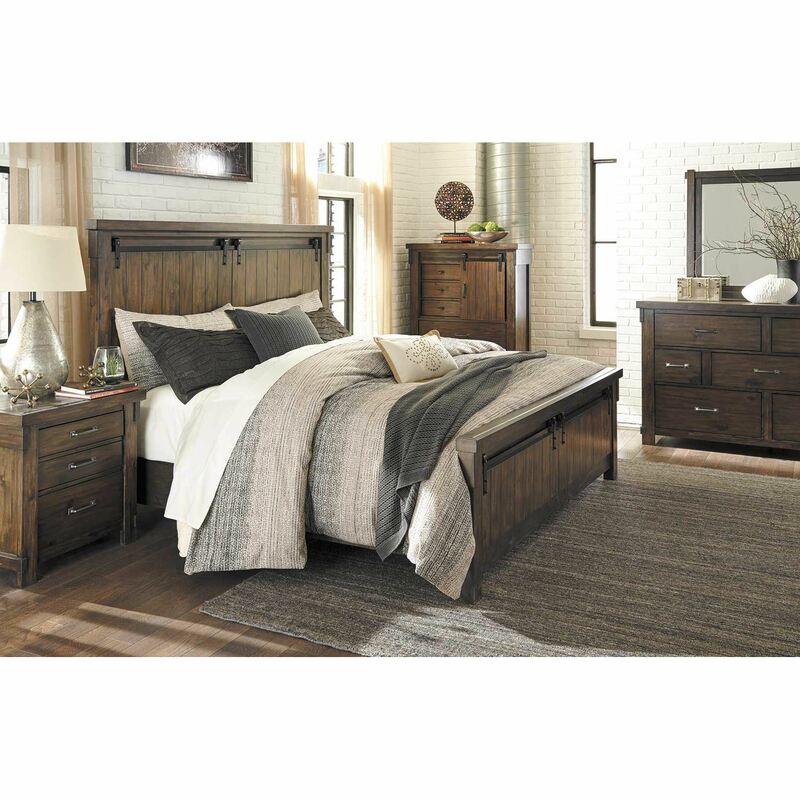 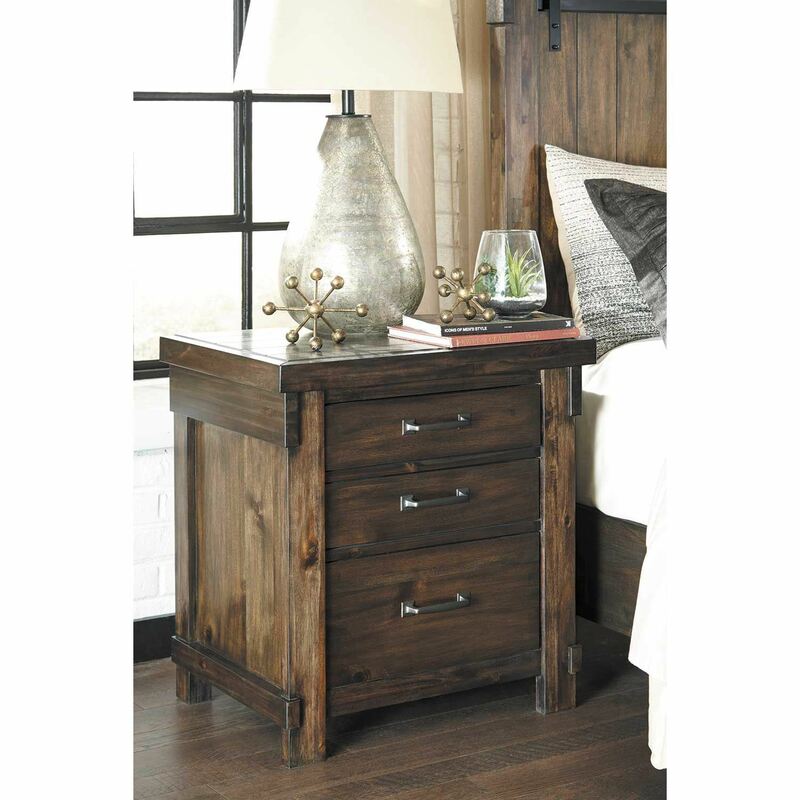 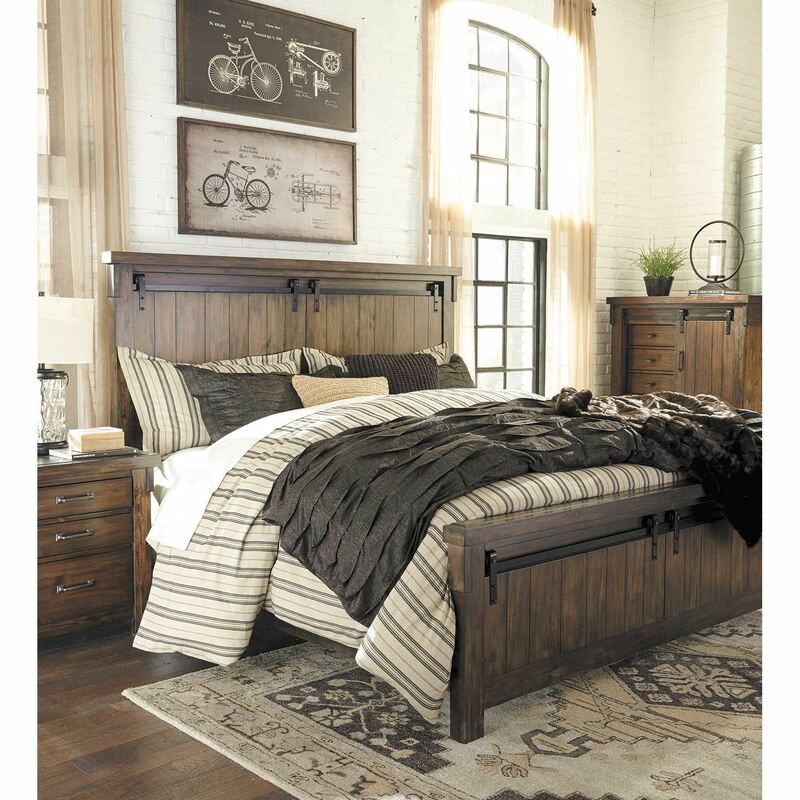 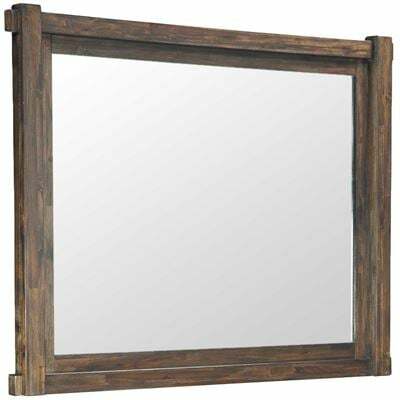 Enjoy rustic charm and urban-industrial cool with the Lakeleigh Nightstand by Ashley Furniture. 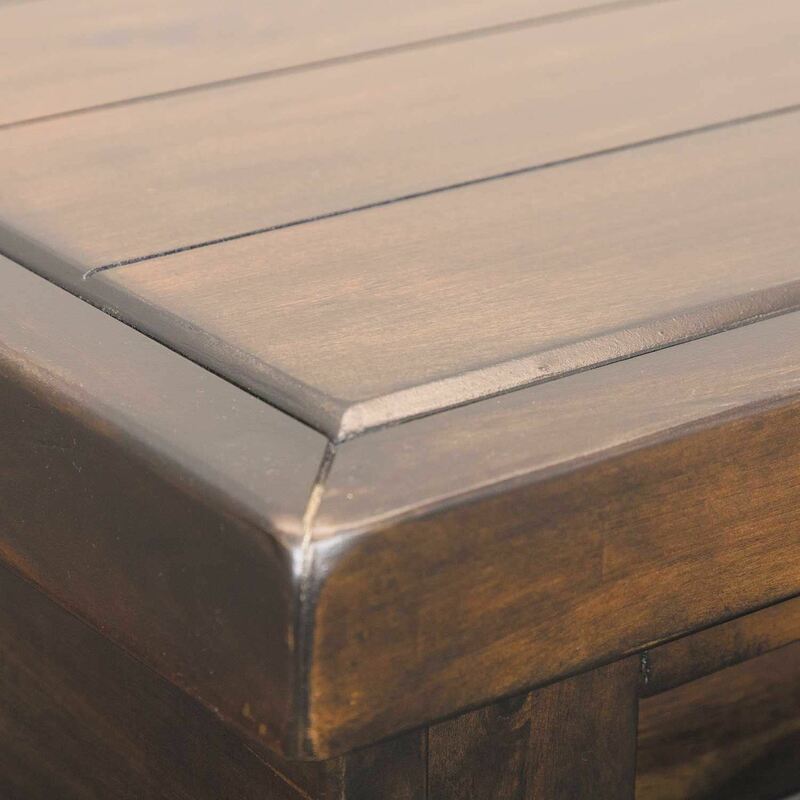 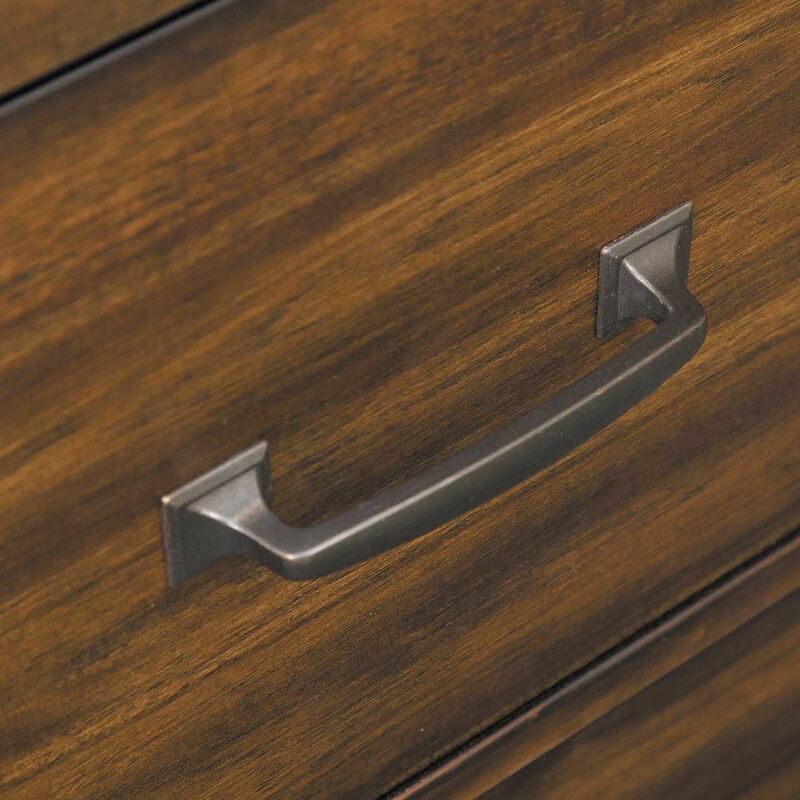 This nightstand features a linear silhouette enhanced by the rustic through-tenon detailing, replicated planking, and a rich brown finish that brings out the natural luster of the wood. 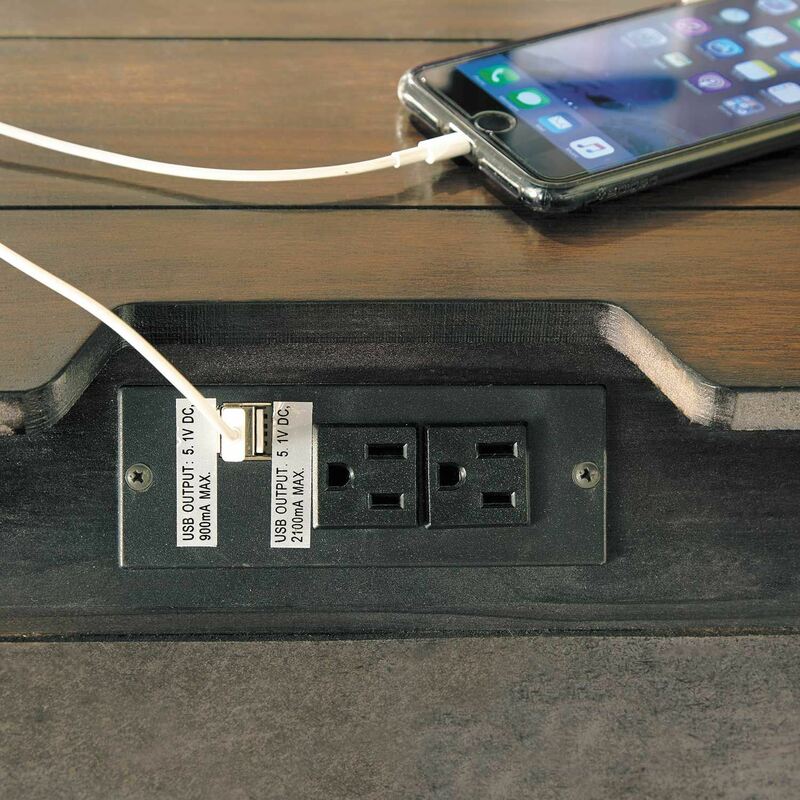 Bar drawer pulls in a darkened zinc-colored finish add industrial style, while two AC outlets and two USB charging ports add contemporary convenience. 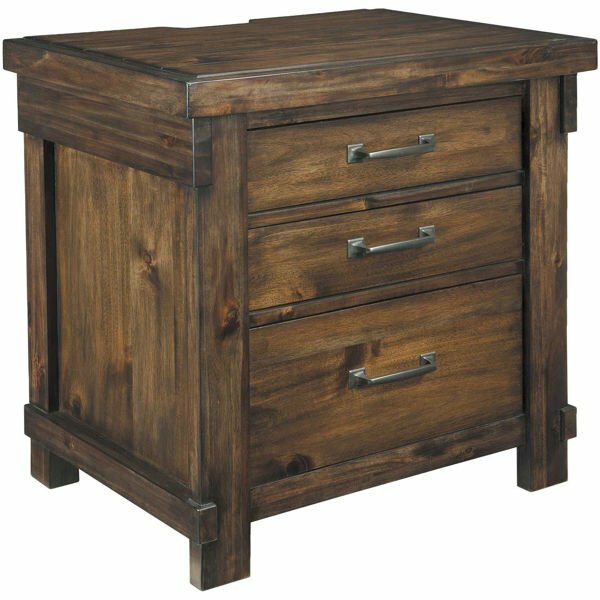 Enjoy rustic charm and urban-industrial cool with the Lakeleigh Nightstand by Ashley Furniture. 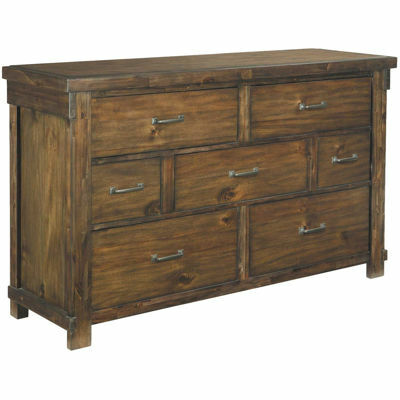 Lakeleigh Nightstand by Ashley Furniture. 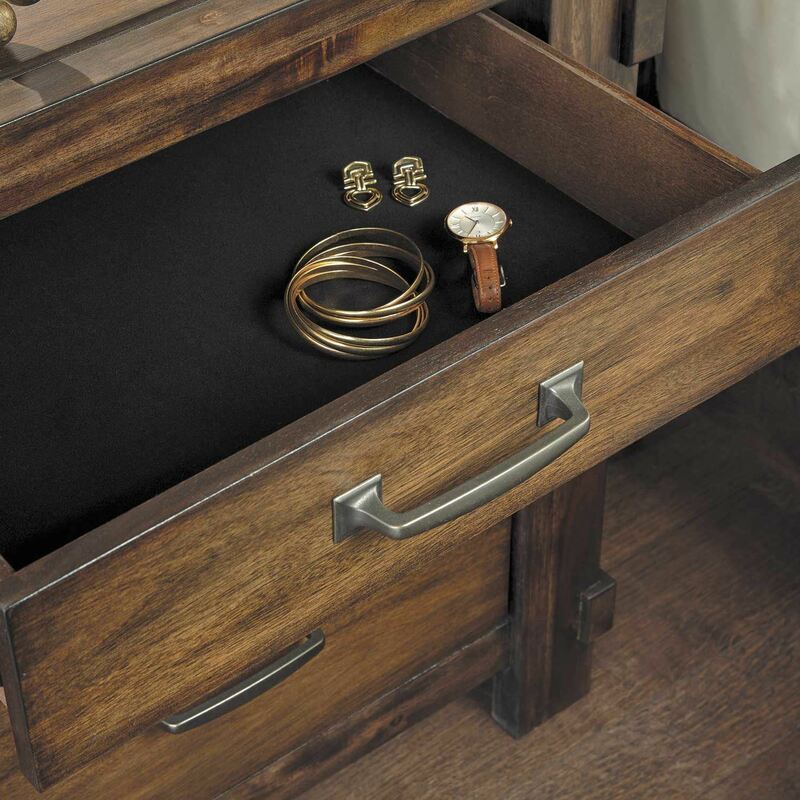 Nightstand features an AC power supply with two outlets and two USB charging ports.